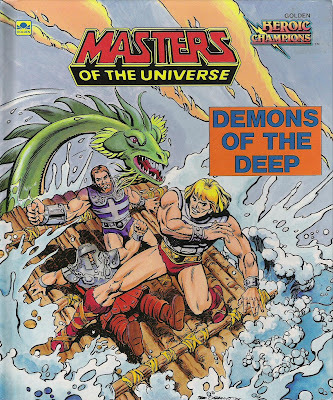 Demons of the Deep is a 1985 Masters of the Universe children’s book written by R. L. Stine and illustrated by Fred Carrillo. Here, Skeletor creates an undersea replica of Castle Grayskull and uses a mechanical sea monster to kidnap Teela. Stine is known for his Goosebumps series and other innumerable children’s horror novels. While there’s nothing remotely of that sort going on here (that’s not a criticism), Stine does his best to inject some drama into the narrative, even though sometimes it’s a bit much. There are some sizeable plot gaps here, though (even for a children’s book), concerning the “how” and “why” of things. 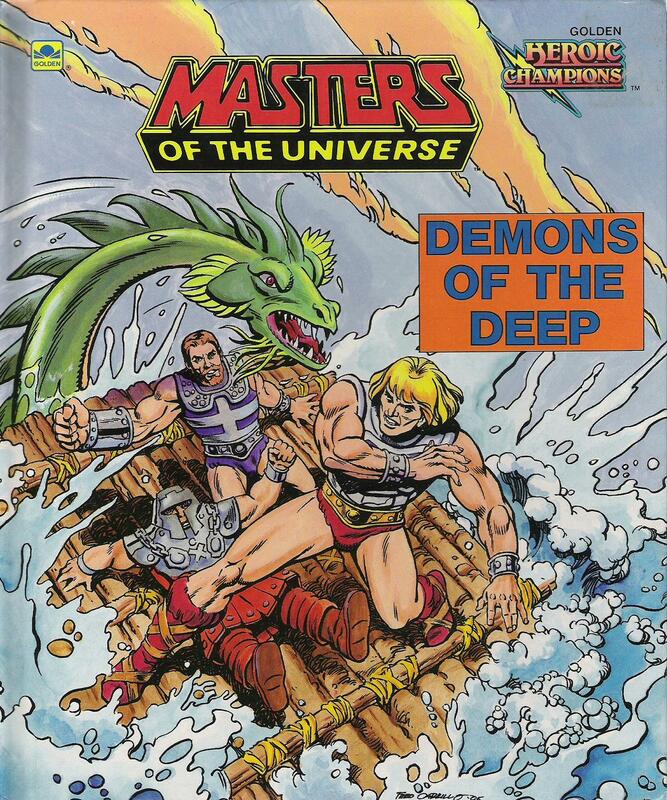 Plus, Skeletor’s got Mer-Man there the whole time – he can’t get some actual sea monsters? With the exception of the first page (given the perspective, Prince Adam’s fishing pole has got to be forty feet long), this is some of Carrillo’s strongest He-Man art. The characters and backgrounds are great, as is his attention to detail, and the watercolor palette contributes tremendously to the atmosphere. In short, though, while Carrillo’s art is excellent, Demons of the Deep is passable at best given the weaknesses of the story.